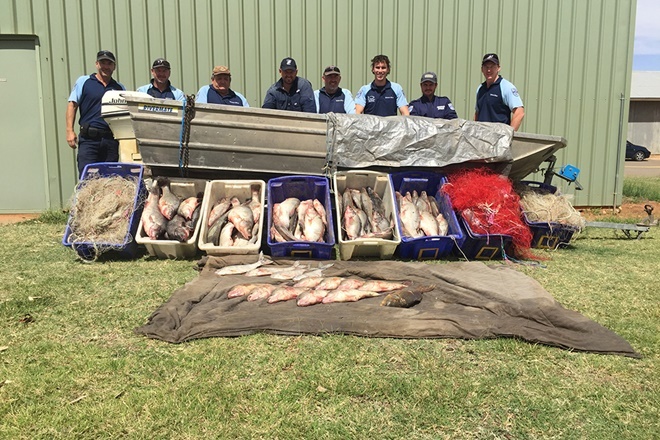 Operation Weelsby was led by NSW Department of Primary Industries Fisheries over a 20-month period, and included the Victorian Fisheries Authority, Primary Industries and Regions South Australia and NSW Police Force, NSW DPI Director Fisheries Compliance, Patrick Tully, said recently. Simultaneously, Victorian Fisheries Authority investigators obtained records from a number of businesses in Victoria including a fish wholesaler in Melbourne where it will be alleged the fish were destined to be sold. The Pomona man has since been formally interviewed by NSW DPI Fisheries and now faces a range of serious charges carrying maximum fines of up to $110,000 and/or 12 months imprisonment, or both. Commercial fishing for native freshwater finfish, which includes golden perch, was phased out from NSW waters in 2001 due to concerns for the sustainability of native fish populations. Golden perch can be legally grown and sold through the NSW aquaculture industry, which is worth around $11.5 million for native freshwater fish annually.